This week we are revisiting one of our favorite episodes with composer and musician, [Harold Budd]! Over the course of his career, Budd has written stunning solo compositions, such as his 1978 harp and choir infused album, The Pavilion of Dreams. He also crafted the groundbreaking ambient records, The Pearl and Ambient 2: The Plateaux of Mirror, with Brian Eno. Other collaborations include projects with the Cocteau Twins, David Sylvian and Daniel Lanois. In our conversation with Budd, he touches upon his days in the army with Albert Ayler, his love for the immediacy of the California Space and Light Movement, the moment he knew he wanted a life in music, and much, much more! Matt Black of the pioneering electronic band Coldcut stopped by dublab in 2000 for a far reaching talk with Mark “Frosty” McNeill. He also performed a short set to demonstrated the sampling software they created and used for their live shows. The band integrated this technique along with live video sampling to create a set that was groundbreaking and unique for its time. Along with producing tracks with a storied list of collaborators, including the Eurythmics, Steve Reich, Queen Latifah, and The Fall, touring, and recording, Coldcut also started their own label, Ninja Tune. Join us! In 2000, Andy Hughes- DJ, producer, member of The Orb- stopped by dublab for a live set and interview with Mark "Frosty" McNeill. Hughes discussed his recent decision to leave The Orb, various past collaborations with the likes of Robert Fripp and Galliano, coming up through the ranks of the electronic music scene in London during the 1990s, and much more! The First Lady of Children’s Music, Ella Jenkins, has been infusing growing spirits with a love for rhythm, melody and diversity through her workshops, broadcasts and recordings since the 1950s. Her string of popular albums for Folkways Records have been a staple in homes and schools for decades, helping nurture children’s natural love for movement, song and social connection. Ella Jenkins makes our world a brighter place and we’re thrilled to share her conversation with Mark “Frosty” McNeill. While most of Margo Guryan’s fans know her classic 60s pop hits, Sunday Morning or Take a Picture, few have heard about her days in the jazz world or as a songwriter and lyricist. From behind the scenes or a microphone, she’s been a dynamic force within the music world since the late 1950s. We hope you can join us for this special episode of In Conversation! Rhythm and Blues hero, Big Jay McNeely, was famous for whipping audiences into a frenzy. Known as the King of the Honkin’ Sax, his guttural, brassy blasts coupled with an intense onstage presence blew down walls the world over. McNeely’s hits on wax were equally potent. 1949’s “The Deacon’s Hop” is a lasting R&B instrumental and 1959’s “There Is Something on Your Mind” can eternally be found in cars cruising low and slow. Mira Billotte of White Magic joins Mark “Frosty” McNeill this week on In Conversation. They chat about her album, Dat Rosa Mel Apibus, performing, and look ahead to what's next for project. We hope you can join us! German Consul and dublab friend, Stefan Biedermann, interviews Robert Trujillo of Metallica about his role as executive producer on the documentary, Jaco. The film traces the life and long-lasting legacy of the bass player, Jaco Pastorius. This week, special guest Prophet graces the dublab airwaves to talk with Mark “Frosty” McNeill. Until this year, Prophet, an underground funk legend from San Francisco, had only released one record, a 1984 private-press LP called Right on Time. Now, he is making his long-awaited return with his new album, Wanna be your Man. Produced by fellow Stones Throw artist, Mndsng, it sounds simultaneously like retro hits and the music of the future. The Space Lady is finally enjoying the acclaim she deserves for her unique form of electronic pop music. After her adventurous musical start on the streets of Vietnam War Era Boston and the decades of performances that followed on various city sidewalks, the folks at Night School Records have given her music a proper release. She joins dublab co-founder, Mark "Frosty" McNeill, for this amiably galactic episode of In Conversation. Yves Tumor joins Maria Minerva to talk about his new music and the inspirations behind it. Tumor’s latest album, Safe in the Hands of Love, released through Warp Records, traverses musical genres, creating a new sonic world in the process. We hope you can tune in! Kevin Haskins and Daniel Ash recently formed Poptone, a retrospective project revisiting the music of Bauhaus, Tones on Tail, and Love and Rockets. Joined by Bassist, Diva Dompé, they hit the road and have been thrilling audiences ever since. They stopped by dublab to talk with Alejandro Cohen about the origins of Poptone, rediscovering a love for performing, and offer some gems from the Bauhaus vaults. Hope you can tune in for this delightful conversation! London-based cellist and producer, Oliver Coates, recently stopped by dublab, while on tour with Thom Yorke. Along with host, Mark McNeil, he shared his thoughts on seeing and experiencing most of the the US for the first time and his singular reflections on a life in sound and music. We hope you can join us for an interview that promises to inspire and encourage fresh perspectives on the sounds and spaces we inhabit everyday! Tangerine Dream firmly cemented their place in the annals of pioneering electronic music starting in the early 1970s. Their masterful and transportive soundscapes graced records and soundtracks alike, and quickly took up permanent residence in the imaginations of millions of listeners. In 2012, before a sold out show at Club Nokia, band founder, Edgar Froese, sat down with Nanny Cantaloupe to discuss the storied career of this band and what it was like to return to the road 40 years after it began. Author, journalist and educator, Alain Mabanckou, took a deep dive into the world of music production after publishing his book, Black Bazar. Inspired to adapt his book into a music project, he created two full length albums for the label, Lusafrica. Along with our host, author and ethnomusicologist, Samuel Lamontagne, Mabanckou traces the origins and wide ranging influence of several of Congo’s most important music genres, including Congolese Rumba, Soukous and Ndombolo. They also touch upon the overlapping nature of music and poetry, reflect on the new generation of Congolese musicians working in France today, and much more! This week on In Conversation, Los Angeles based radio presenter and music supervisor, Morgan Rhodes, joins Mark “Frosty” McNeill to highlight music from the year 1979, the moment her sonic world blossomed. Along the way, we are immersed in the unique music of this era and feel its lasting impact on the influential work Rhodes does in Hollywood today. From 1988 to 2001, the Royal Trux produced an incredible amount of music and in the process helped to define an era. This week on In Conversation, band co-founder, Jennifer Herrema, takes us through their much storied catalog. Join us as we trace the band’s journey through the 90s and find out how this duo ended up inspiring the generation of bands that followed. Mike Noriega, invited the elusive Mr. B, the East Side Story creator, onto dublab to discuss the formation of the influential series. The show was co-hosted by Lowrider Oldies radio hosts, Melissa “Lil Smiley” Dueñas and Monica “Moniloca” Robles. “Lowrider oldies” are not the rock n’ roll classics of yesteryear America; they are the underground soul classics of the Chicano community. These sentimental ballads continue to be widely popular amongst numerous Chicano generations, from baby boomers to millennials alike. Argentine sound visionary, Juana Molina, joined dublab co-founder Mark "Frosty" McNeill for a reflective radio session. Together, they dove into the creation of her most recent album Halo and the expansive field of resonance surrounding her ever-evolving being. John Pirozzi dropped by dublab to talk about his film, Don’t Think I’ve Forgotten: Cambodia’s Lost Rock and Roll. He spoke with Mark “Frosty” McNeill about the Cambodian rock scene that was blossoming prior to the Khmer Rouge takeover of the country in 1975 and played some of the great music that is featured in the film. The gem-laden soundtrack to the film is available now through Dust to Digital. Visit dtifcambodia.com to get the full scoop on the film. Broadcasting icon, Art Laboe, is our guest this week on In Conversation. Dublab board member, Josh Kun, sits down with Laboe at his Original Sound Studio on Sunset Boulevard to revisit the history of his illustrious 70 year career and explore his intimate nightly connection with listeners cruising the California streets or listening close for the voice of a loved one. We are proud to bring you an in-depth interview with this legendary radio personality! Light in the Attic Records is reissuing many of Haruomi Hosono’s essential and groundbreaking albums for the first time outside of Japan. To mark the occasion, Kuni Murai, producer, composer and founder of Alfa Records, joins dublab’s Mark McNeill for a chat about his decades-long working relationship with Hosono. Their conversation offers a unique view into Hosono’s career, from his days as a session bass player to his stratospheric success with Yellow Magic Orchestra, and beyond. We hope you enjoy this delightful episode with a true music champion! In 2012, multi-instrumentalist, composer, educator, and historian, Kelan Phil Cohran sat down with Carlos Niño at The Last Bookstore in downtown LA. Over the course of the interview, Cohran shares stories and insights from his vast experience not only as a musician but also as a dedicated historian and thinker. We hope you can join us for this unique journey through the life and work of a truly remarkable musician. Mute Records turns 40 this fall and to help celebrate we are bringing you an interview with label founder, Daniel Miller. Along with host, DJ Lady C, Miller discusses the origins of the label, DJing in Mongolia, what lies ahead for Mute and much, much more. We hope you can tune in for this special episode! Composer and musician, Gavin Bryars joins host, Mark McNeill, this week on In Conversation. Together, they delve into his unique and expansive career in music. From studying with John Cage, to founding the Portsmouth Sinfonia, to being the first artist singed to Brian Eno’s Obscure Records, Bryars can be sighted as one of the most influential composers of the post-minimalist era. Enjoy absorbing some illumination from one of the brightest minds creating today. 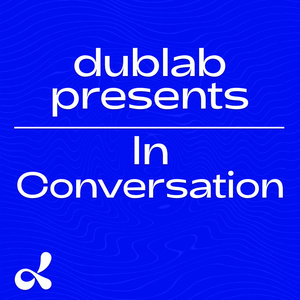 In celebration of Suzanne Ciani‘s historic release, LIVE Quadraphonic, dublab’s Alejandro Cohen hosted a special broadcast of the album followed by an interview with the artist. Joined by producer, KamranV, they explore Buchla's long forgotten Quadraphonic format, the earliest true 360° listening experience of its kind, and how it was finally translated to vinyl. The record features Ciani’s first solo Buchla performance in nearly 40 years! Legendary no wave artist Lydia Lunch joins Jenny NONO this week on In Conversation. A beacon of non-commercialism and a fiery advocate of individualism within the music world for almost 40 years, Lunch takes us on a raw and raucous trip through her life and work. It’s a ride you won’t want to miss! Brandon Coleman sat down with Mark de Clive-Lowe and Los Guapos at the Freehand Hotel to discuss his new record, Resistance, out September 14 on Brainfeeder. They were joined by Kamasi Washington, Techdizzle, Allakoi Pete, Samir Moulay, and Dale Black for a conversation about collaborating, their influences, and much more. Tune in for a glimpse behind the scenes and into the world of an incredible group of musicians! In his book Uproot: Travels in 21st Century Music and Digital Culture, Jace Clayton aka DJ /rupture takes us with him as he traverses the globe. He shares some of these stories and his observations about the nature of music making and sharing in the our times with dublab co-founder, Mark McNeill. We hope you can tune in for this wide ranging and inspiring conversation. This week Mark McNeill welcomes Jess Sah Bi & Peter One onto the dublab airwaves to share some insights into their album, Our Garden Needs Its Flowers, reissued by Awesome Tapes from Africa. The duo’s 1985 debut album is a soulful country-folk treasure. Created in Côte d’Ivoire, it caused huge ripples throughout Africa upon its release. Linda Perhacs sat down with DJ Nobody to discuss the reissue of her 1970 album Parallelograms. Over the course of their conversation, we get a feeling for the unique creative process that made this album such a timeless classic. Perhacs explains how Parallelograms was created not from a desire to be a professional artist or musician, but rather as an expression of her experiences with the natural world. She also shares some thoughts on using a combination of synthesizers and acoustic instruments now and where she sees her work going from here. Our guest this week is composer, arranger, and musician, Van Dyke Parks. His contributions to popular music help to define the sound of an era. Over his 50 year plus career, he has worked with Harry Nilsson, Bonnie Raitt, Randy Newman, Frank Sinatra, Judy Collins, Haruomi Hosono, just to name a few. He is perhaps best known for his work on the Beach Boys' album, Smile, and his 1967 solo album, Song Cycle. In this interview with Carlos Niño, Parks speaks about creating the first "concept" record, learning clarinet the hard way, his love for arranging, and much, much more. This week on In Conversation we travel back to 1999 to hear an interview with trip-hop pioneers, Smith & Mighty. During their interview with Mark McNeill, they share stories from Bristol (not the one in Texas), and the 90s music scene that saw the rise of bands like Portishead and Massive Attack. We hope you can tune in for this raw, funny, and energizing episode. Love Injections hosts, Paule Raffaele and Barbie Bertisch, welcome author, Tim Lawrence, to Red Bull Studios to talk about his latest book Life and Death on the New York Dance Floor: 1980-1983. The book charts the renewal of the post-disco party scene in the early 1980s and in the process reveals one of the most creative and dynamic periods in the history of the New York City. During the interview, Lawrence shares some of his own experiences from that time and how finding a home within that community profoundly changed the course of his own life. This week on In Conversation we are joined by Tina Weymouth and Chris Frantz of Tom Tom Club. They sat down with Daiana Feuer to discuss their sonic roots, their other band, Talking Heads, and the creative currents flowing around all of us. This wide ranging interview kicked off with a vivid description of their initial recording sessions in the Bahamas and the dynamic group of artists and producers they met there. We were left with a tangible feeling for that time and for the creative paths blazed by our guests. Composer and musician, Harold Budd, stopped by dublab’s studio to share stories from his musical journeys of the past, present, and future. Over the course of his career, he has written stunning solo compositions, such as his 1978 harp and choir infused album, The Pavilion of Dreams. He also crafted the groundbreaking ambient records, The Pearl and Ambient 2: The Plateaux of Mirror, with Brian Eno. Other collaborations include projects with the Cocteau Twins, David Sylvian and Daniel Lanois. In our conversation with Budd, he touches upon his days in the army with Albert Ayler, his love for the immediacy of the California Space and Light Movement, the moment he knew he wanted a life in music, and much, much more. This week we bring you Music in the Asian American Movement: Interviews with Nobuko Miyamoto, “Atomic” Nancy Sekizawa, and Mia Yamamoto. Hosted by Zen Sekizawa, the episode takes a deep dive into the intersectionality of music, activism, identity, and culture in the United States. From a family’s return to Los Angeles after being removed to WWII Japanese Internment Camps, to working in the courts as a transgendered civil rights attorney, to fronting punk bands, their collective stories take us on a powerful journey that crisscrosses the country and spans generations. This week we are joined by Martin Gore of Depeche Mode. He shares the story behind he first instrumental record, MG, with VSSL Radio host, Mikey Nightchilde. We also get a glimpse into the first heady days of Depeche Mode and his long relationship with Mute Records. The legendary Terry Callier was one of the first artists to ever grace dublab’s studio for a live performance. He joined Carlos Niño in 1999 for a chat about the music he loved, the nature of touring, and much more. We hope you can join us for a very special episode of In Conversation. Channel of Light host, Mark Van Hoen, caught up with Neil Halstead of Slowdive for a mid-tour conversation about the evolution of the band from their start in the late 80s to the present day. Groundbreaking composer and conductor, classical violinist, and ethnomusicologist, Elisabeth Waldo, graciously welcomed dublab’s GB to the historic Rancho Cordillera del Norte to share insights from her 70 years in music. As you’ll discover, Waldo’s trademark multicultural music is a unique expression of her devotion to the world’s diverse cultures. In 2001, our friends at Canongate Books presented a concert with Gil Scott-Heron in Scotland. Jamie Byng from Canongate was a longtime friend and supporter of Scott-Heron. In this recording, Scott-Heron exudes a sense of comfort from performing in the company of friends, including the percussionist Larry McDonald. Canongate passed this recording to dublab for an exclusive broadcast in 2001. We’re happy to be able to share exerts from the performance again for this episode of In Conversation. Mark McNeill welcomed MJ Lallo onto his show Celsius Drop for some conversation and cosmic cruising. Working as a voice over artist for NASA and the Vatican Observatory, Lallo created soundtracks for the swirling stars of the Milky Way. These space fueled explorations were only part of her pioneering experiments into creating compositions with her voice and early effects processors. Diving into the dance music scene of San Francisco in the early 80's, she soon found a home for her multi-layered vocal approach to pop. Lallo went on to pursue work in film, television, and advertising. We hope you can join us for this refreshing conversation with an animated creative spirit. Before the 2017 Grammy Awards, electronic music legend Jean-Michel Jarre stopped by dublab’s Analogue Players Club Program. The 30-minute chat that ensued spanned the rebellion of his early punk years, his staging of the world’s largest concert, and his ever deepening connection to Los Angeles, a city that has come to represent the life of his father, the composer Maurice Jarre. Join Slayron and Mitchell Brown as they take a revealing and enjoyable look into the life and work of a real trailblazer.